A Black Mercedes parked in a Cadillac’s driveway. A discreet rendezvou. 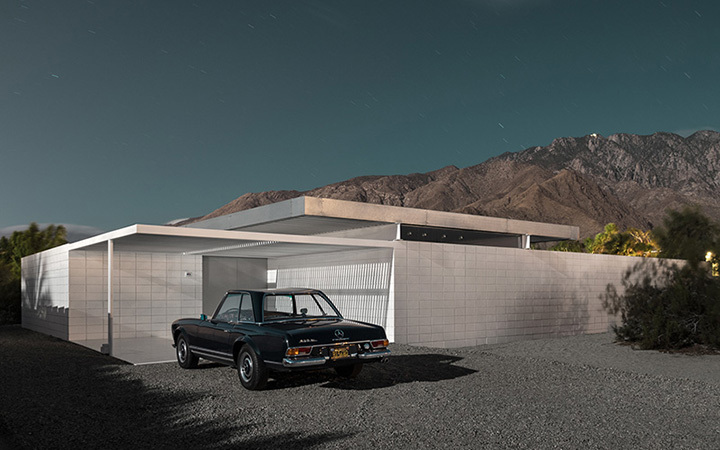 In Midnight Modern IV, Tom Blachford evokes the evening-baked cool and dark-side vibes of the silver haired and well-healed wealth that was America’s winter swinging Palm Springs set. The American Dream wintering over.